"We make Classical Belts in Traditional Way"
HILTON V-Belt is manufactured in an ISO 9001:2008 and ISO 14001:2004 certified plant with the strictest possible quality control.Technical Prowess ,high grade constituents(raw material) and highly motivated work force are unbeatable factors of HILTON Belt’s high quality. 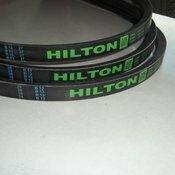 A HILTON Belt is built around finest quality dipped Polyester cord.Polyester being the main tension member of the belt is specially designed to provide low stretch throughout its life. The Cushion is made up of specially formulated rubber compound to prevent shifting of adjacent cords and meet the required structural integrity and dynamic adhesion. 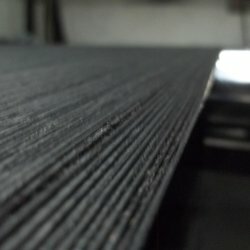 The Compression Part of a Hilton Belt is designed to provide negligible deformation under load and beside sufficient rigidity and heat resistance. It transverse rigidity and provides good support to the cords and maintains dimensional stability of the belt. 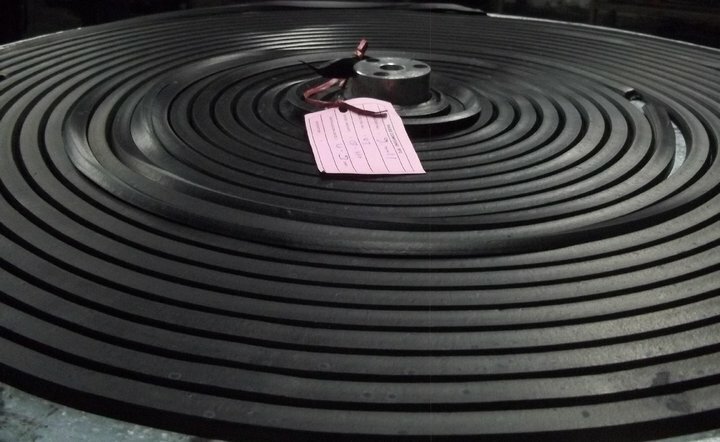 The filler compound provides stiffness and excellent flex/fatigue resistance which helps in keeping the cords nearer to the Neutral Axis of the belt and counter acts the centrifugal forces at high speed ,which minimizes the vibrations. Jacket of a Hilton Belt is made of special fabric with high tensile strength ,high coefficient of friction and high wear resistance against the pulley. Jacket Fabric is impregnated with PCH(Poly Chloroprene based) compound at the Calender to add the attribute of being resistant to heat ,oil,abrasion,ozone and weather aging. Perfect bonding of all its components : Polyester Cord ,Cushion,Compression Rubber and Jacket Fabric is ensured to make the constituents work as HILTON V Belt. HILTON Belts are driving various steel plants , Rice Mills, Weaving Mills ,Chemical Units ,Harvester Combines throughout the country in a trouble free manner. Hilton V-Belt Division focus on constant research and developing improved product to serve its customer at the best.